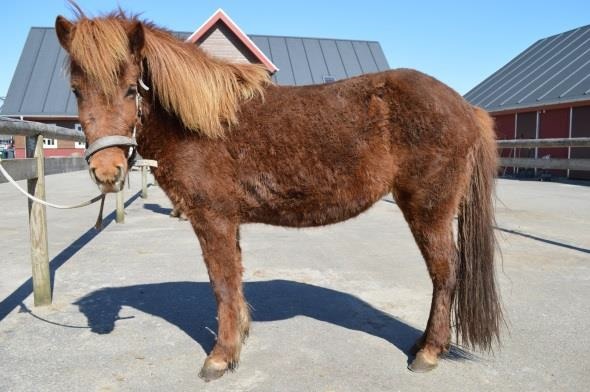 Største delen af vores rideheste er til salg. Fordelen ved at finde din nye makker hos Kommandørgården er, at du ved at hesten er vandt til det hele! 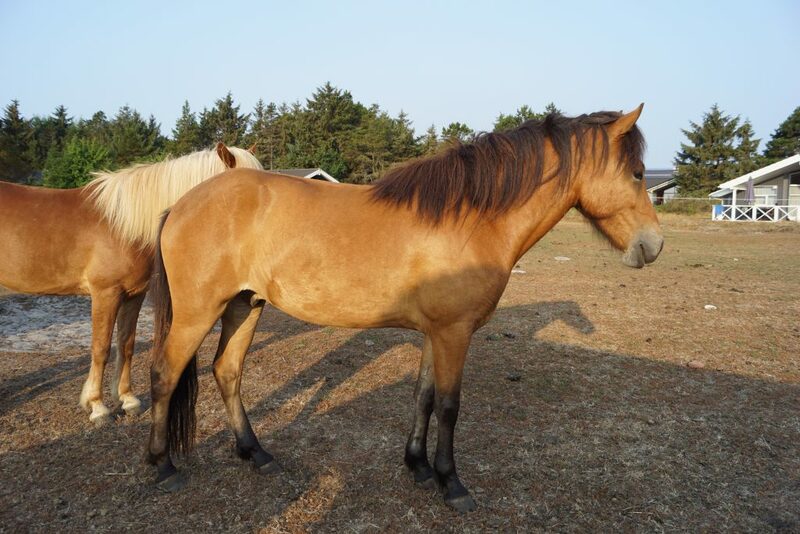 Vi rider ude i naturen med dem alle sammen hele tiden og ved hvordan hver hest reagere på tingene. Vores heste er ikke trænet op til konkurrencer, men ud over at der er lagt vægt på sindet, er en god tølt også et stort fokuspunkt i vores avl. 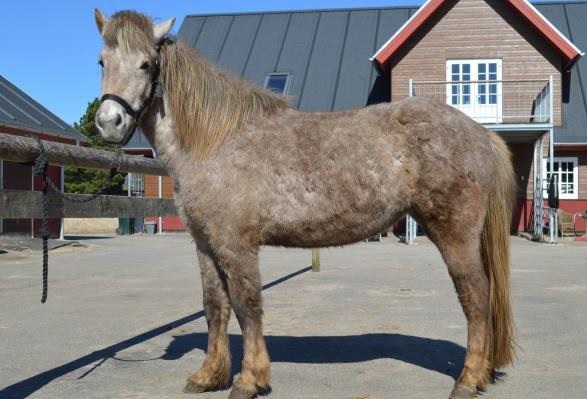 Sammentidtig kan du være sikker på at en hest fra Kommandørgården vil bære dig igennem alle former for natur. I er altid velkommen til at kontakte os med spørgsmål til hestene. Her finder i vores prisliste med vejledene priser på hestene. 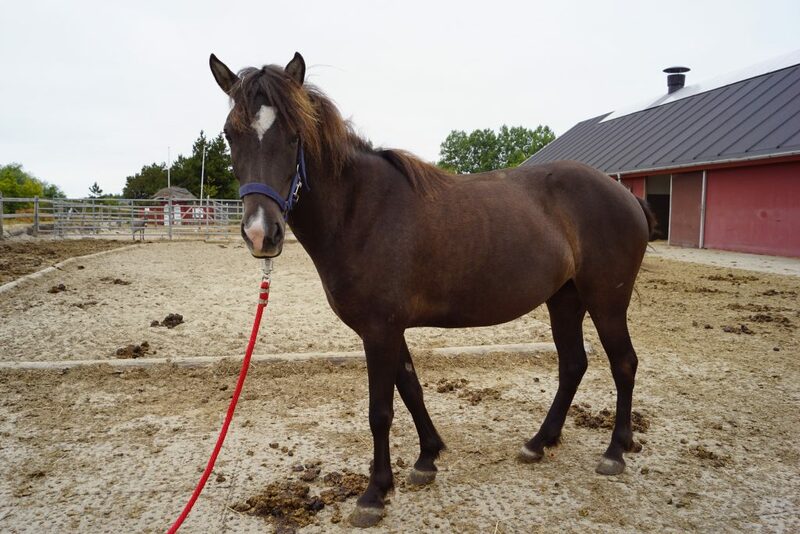 Large, quiet and powerful mare with spacious gaits. The legs are best for short tours, but she can carry both large and small riders. She is always on diet. 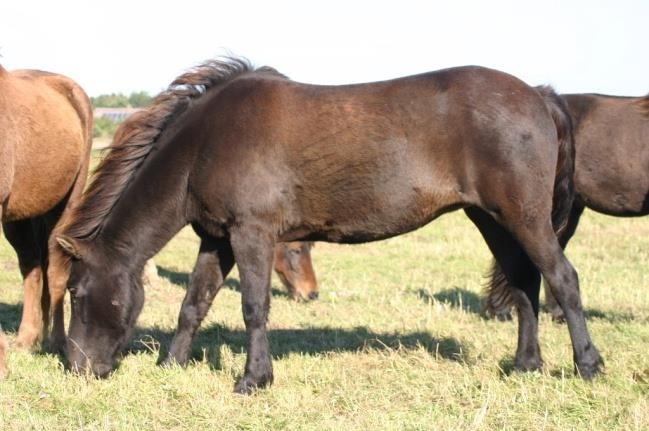 Special characteristics: Large and robust, black with a tiny white star on her forehead. The oldest member, who may have Guinness record for converting nervous riders to relaxed. But do not think that he is slow, although he has experienced much in his life, which began in Iceland. 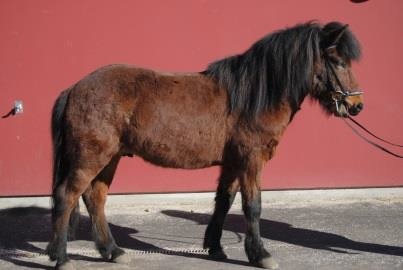 Special characteristics: Older looking, short ruffled mane and tail. Dark areas in the head. 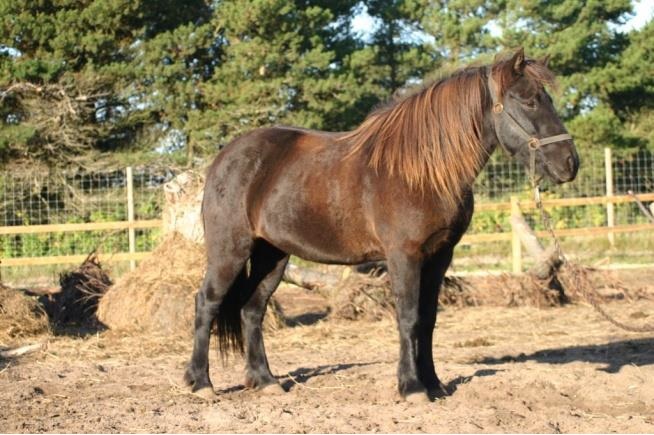 Large, stable and very calm gelding, with a great mind. When you first find his button, he can easily come up in a fresh tempo, but he must be asked to do it, because he wants to be sure that, his rider is with him all the way. 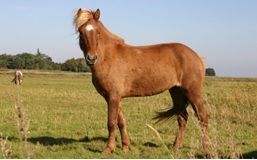 Special characteristics: Tall and long-legged, T-shaped white blaze in his head. 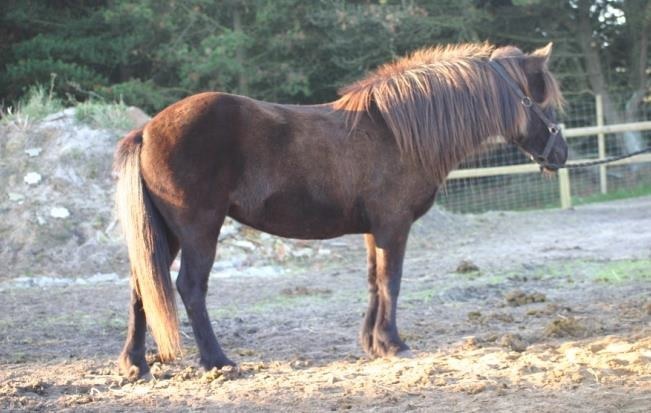 4 completely seperated and soft gaits, especially loved for his soft tølt. 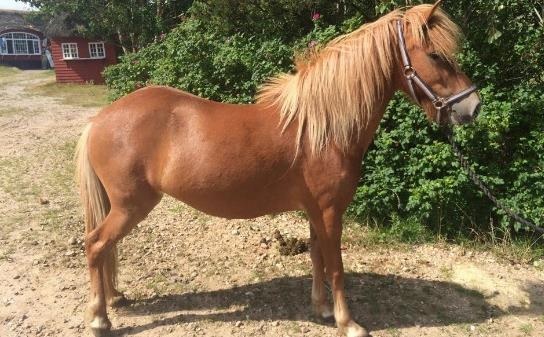 Extremely guiet gelding who like to go in the back of the group, but can go in the front with a good rider. 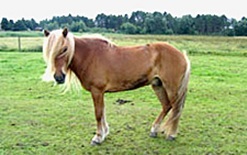 Special characteristics: Light mane, white star on the forehead, kind eyes, often clap with his lips, small white spot on the left side of his neck. The Children and small riders lovely horse. 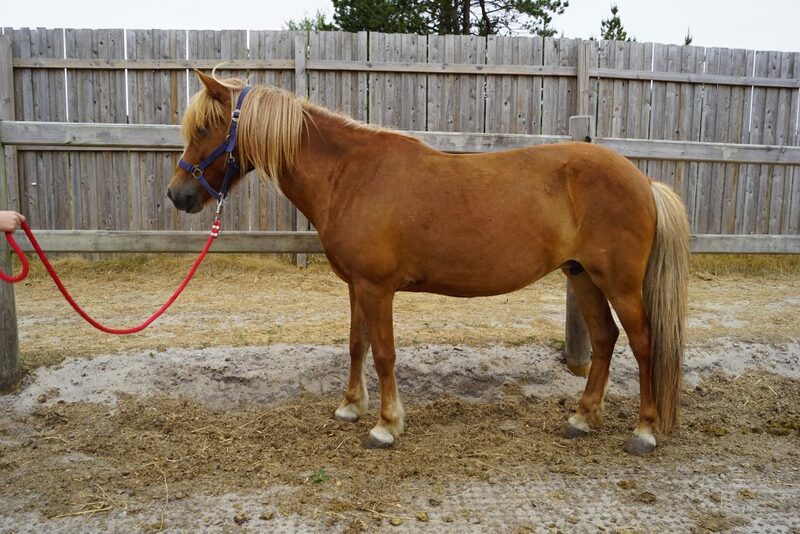 She is extremely soft to sit on in all gaits. Gusa believe that you have to flush the stomach when passing wather. 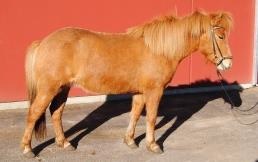 Special characteristics: Brown body, white legs and white tail. Charm, confidence and great hair! 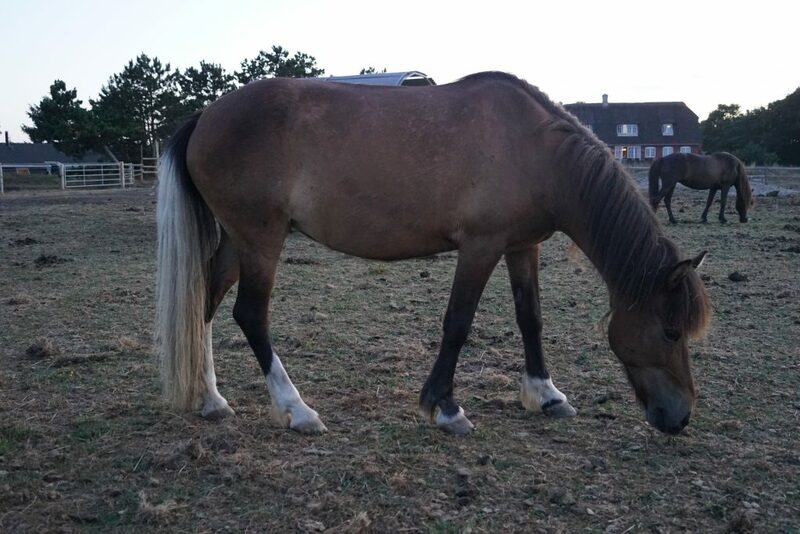 Late castrated gelding who is very quite and reliable. 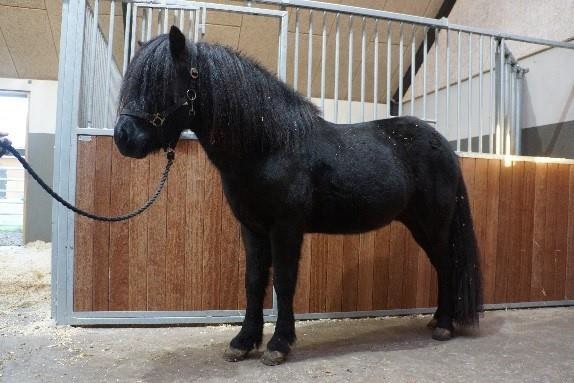 He has all gaits and is a pleasure to ride. 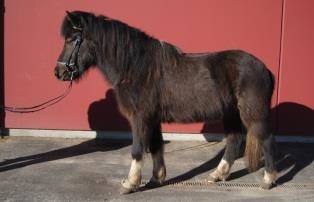 Prefers to trot, but also has a lot of tølt which is very amazing once you find the right button. Special characteristics: Black as the night, huge hair, white star on his forehead. 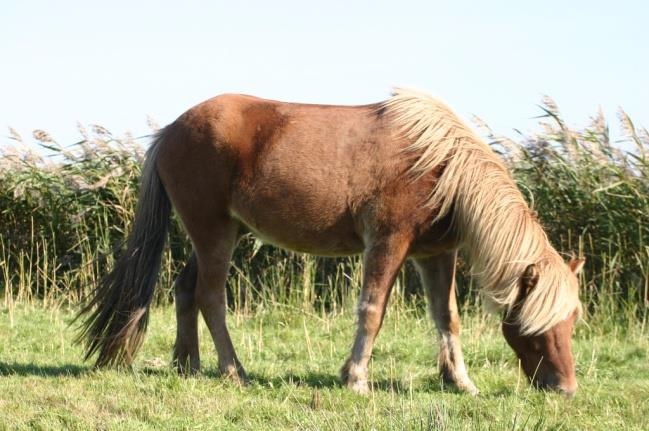 One of the farms smallest horses, who follows the group in the middle of the line, especially with chiildren and small riders on the back. She invented her own Silja-gait – we call it tølop, a mixture of tølt and galop, which is very comfortable to sit in. 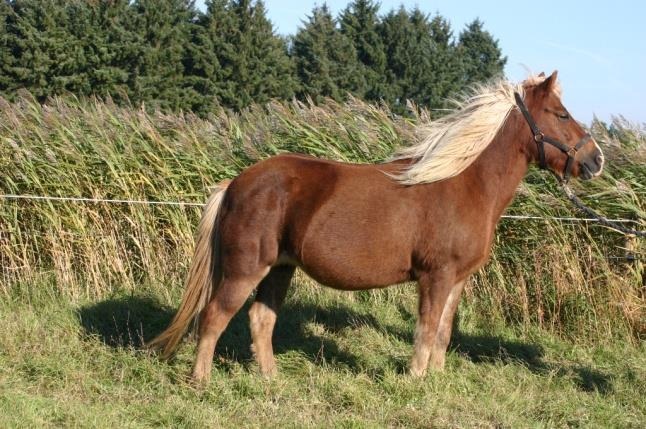 Special characteristics: Short legs, lots of hair – it is just before you don’t see her head because of all the hair. She always takes good care of herself and her rider. You have to be a little bit good to find the tølt since would prefer to trot. 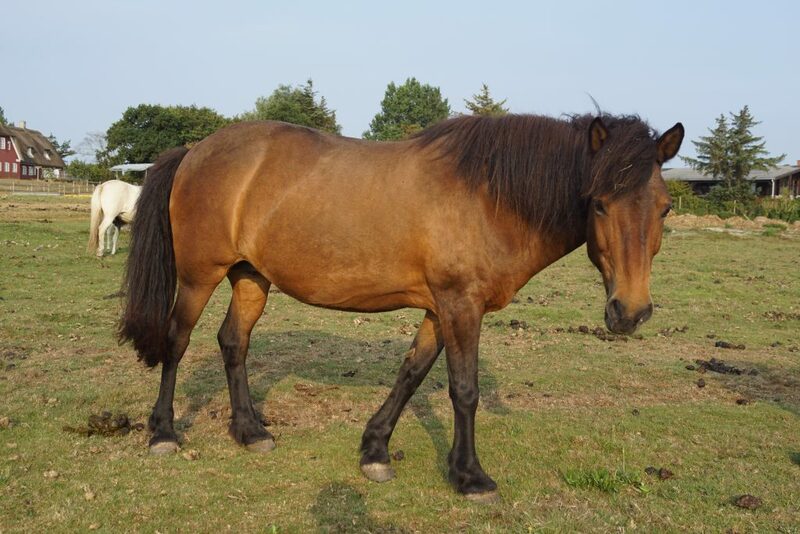 A lovely mare who always follows the group. 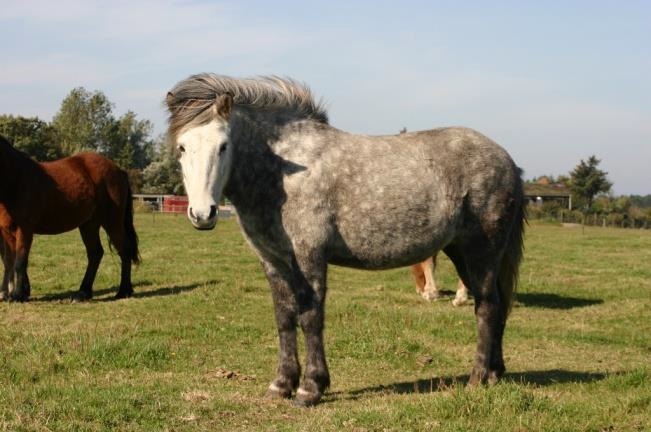 Special characteristics: Silver hair, unique red/brown fur that is not seen on the other horses on the on paddock, white blaze in the head. 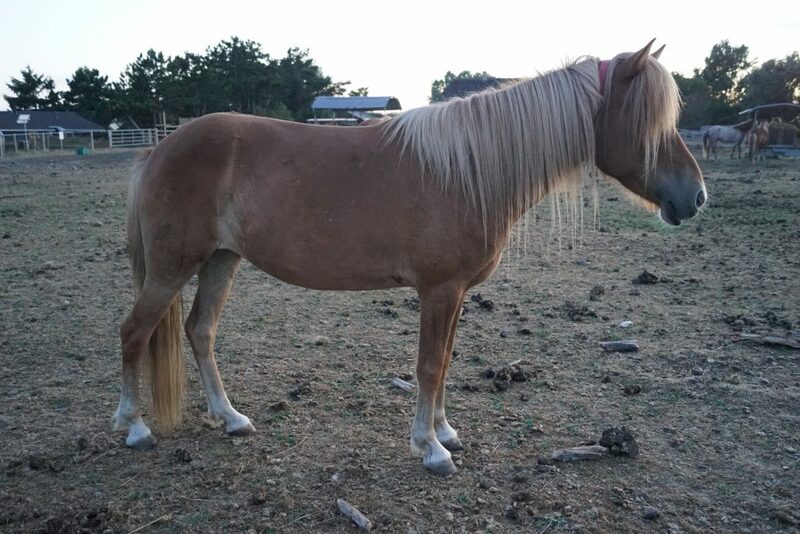 A tall mare with a little bit weak legs. Her job is therefore short tours and she especially have lighter rider on the back. She may seem a bit reserved on the paddock, but as soon as you get her in hands, she is extremely kind. 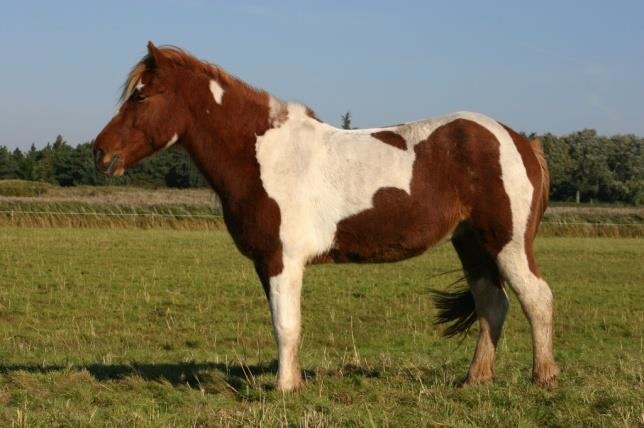 Special characteristics: Tall and long-legged, white blaze can be spotted in her light head if you have good eyes. 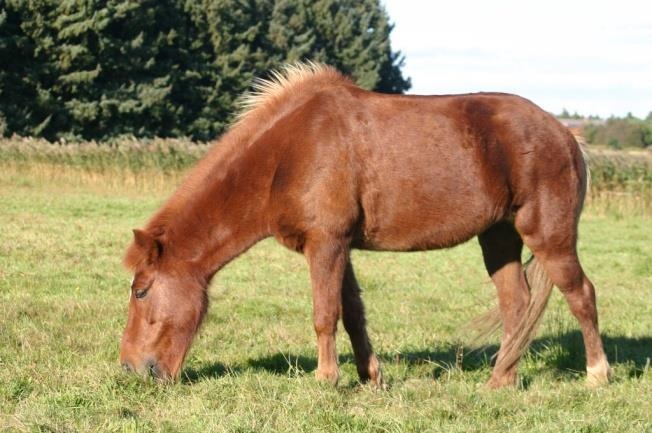 An older mare who has bred super fine riding horses. We picked her up on Island and still remember the freshly baked bread we got for breakfast. 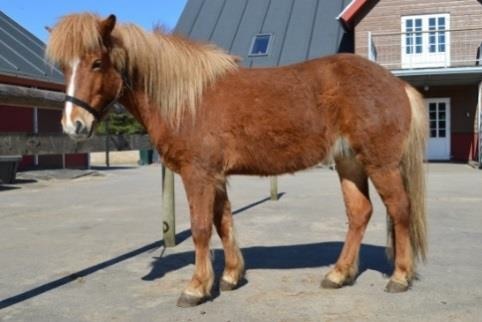 Amazing mare who always follow the group and deserves a calm hand. Special characteristics: Flat back, “barrel”-shaped stomach, slight tendency for summer eczema. 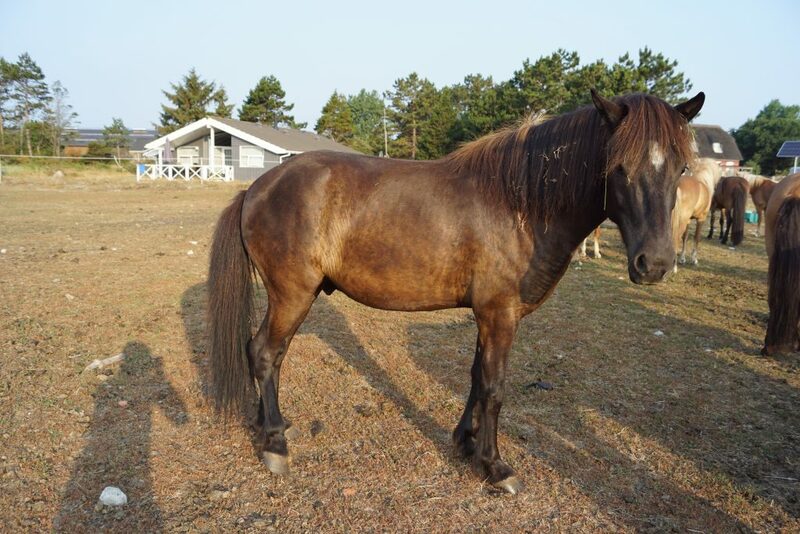 Fresh mare who faithfully follows the group. She may seem a bit rushed, but takes very good care of her rider. Goes in tølt, but is also mixing especially at high speed. Special characteristics: Almost orange colored, small white hair all over her body, ruffled hair, white star on her forehead and small white hairs going down to the muzzle. 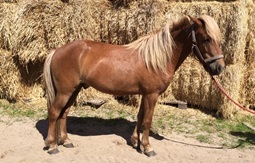 Nice gelding very relaxed with a nice temperament and a nice tølt. Very relaxed and calm !! The tølt is still a little bit hard, but it will come for sure because of his wonderful parents. The guides or the good riders soft tølter. He is rarely going with tourists, because you need experience and control over your body. 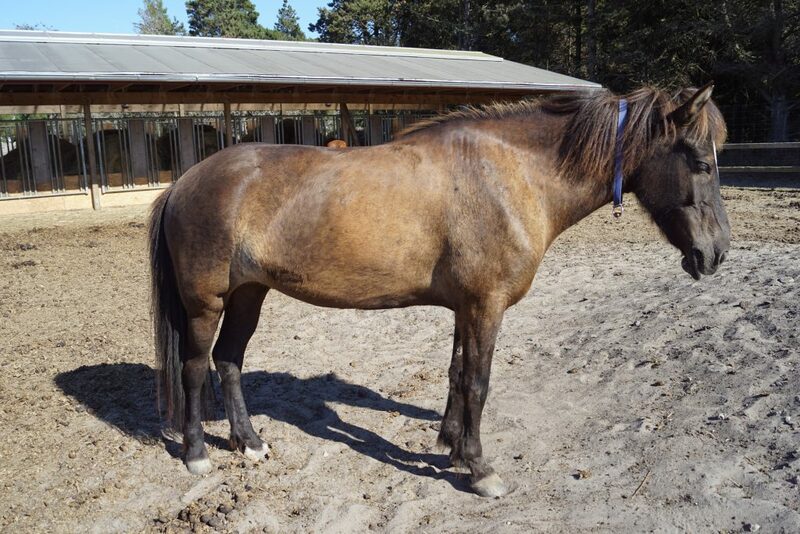 He is easily frightened and needs support, but if you can handle it, you have a very good horse. Special characteristics: Brown body, white star on his forehead, 4 white legs and white tail. The name means angel, and this word describes him best. Born as an angel, during breaking in he was an angel, always an angel. 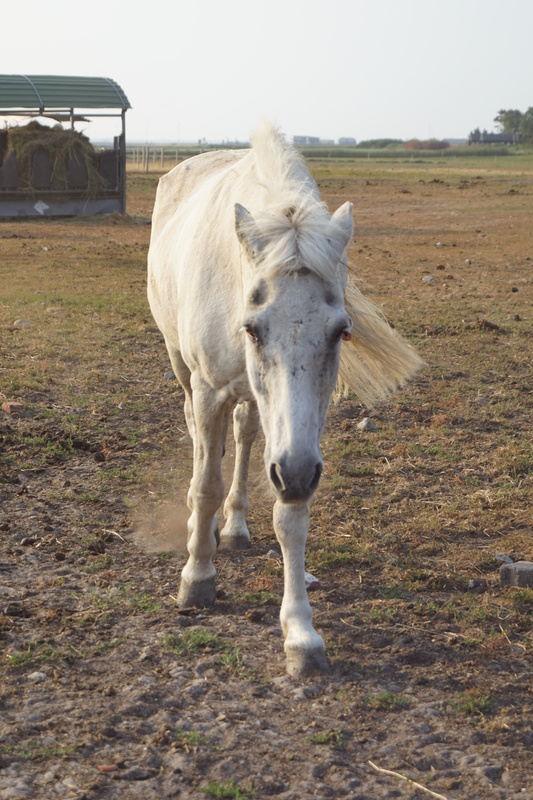 Even though the other horses left the field one midnight when the fence was down, our Angell stayed and waited for us to get him the next day. Special characteristics: Long-legged, Small knob at his right eye. 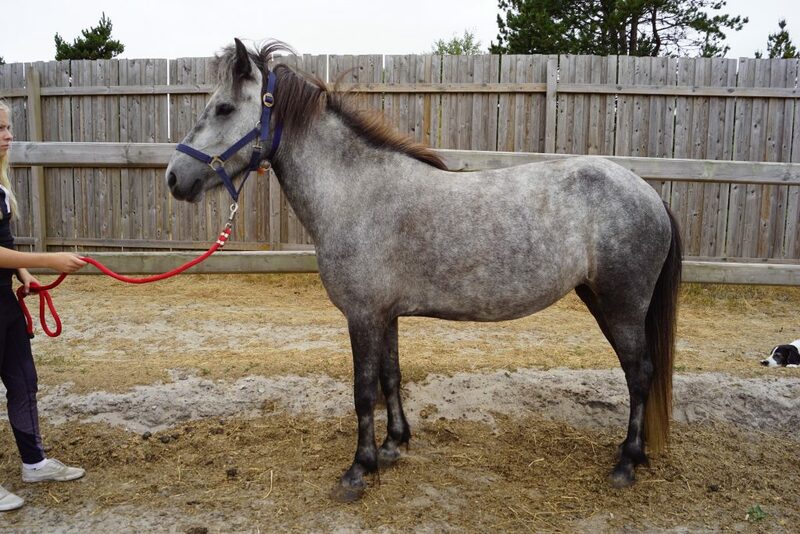 She was not the easiest horse from the beginning, since she was very unsure of herself. 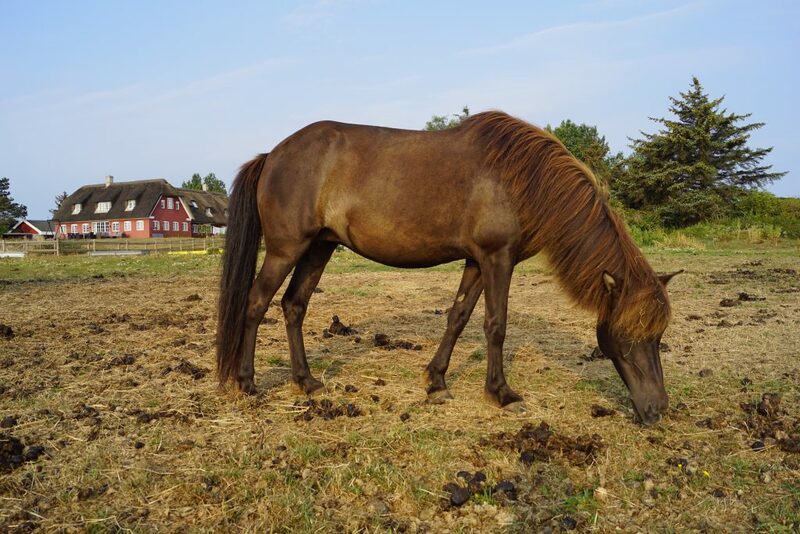 Now she has found herself and is an amazingly calm and loving small horse, who is fast becoming popular, especially between the female riders. 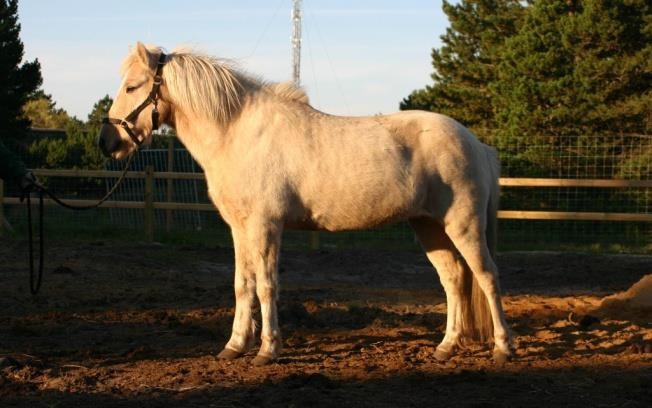 Special characteristics: Small, white blaze – can be mistaken for Fjödur-ung, who has a more narrow blaze. A big and mighty fellow. Despite this he is a sweet and reliable guy, who prefers to be in the front. Tølts in all speeds and is the tourists absolutely favorite horse. 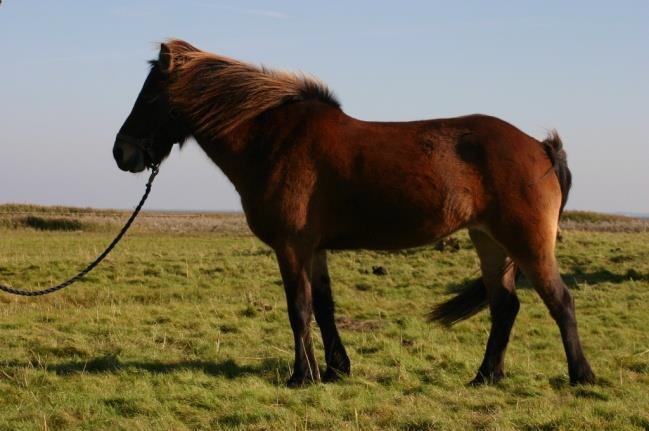 Special characteristics: Large and long-legged, well-set neck – can be mistaken for Vikingur, who is more robustly built. Magical loner, who is almost always seen alone. Therfore he also follows the group in his own speed. 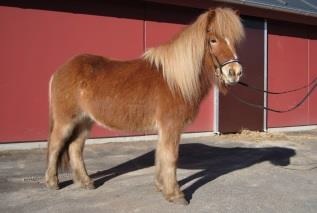 He has clean gaits og is the childrens favorite. Special characteristics: Small and short-legged, round-bellied, slim white blaze which is a little skewed and looks like a magic wand. Calm big gelding that takes good care of his rider. Importent information !! Rökkvi is allergic to hay!! 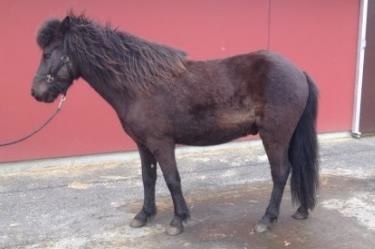 Special characteristics: Long-legged, slim body, small white hairs between all the black on his head and body, very straight backbone, afro hair. A large girl with good lift and beatiful movements. She is loving and will do everything to please her rider. She is looking at the surroundings, but is quite calm. 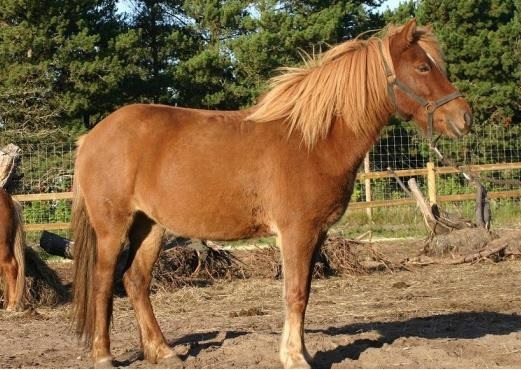 Special characteristics: Large and long-legged, slightly rough and large head, ruffled hair. 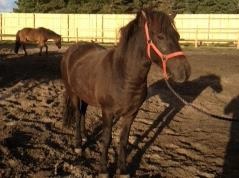 A gelding who likes to be among the front. 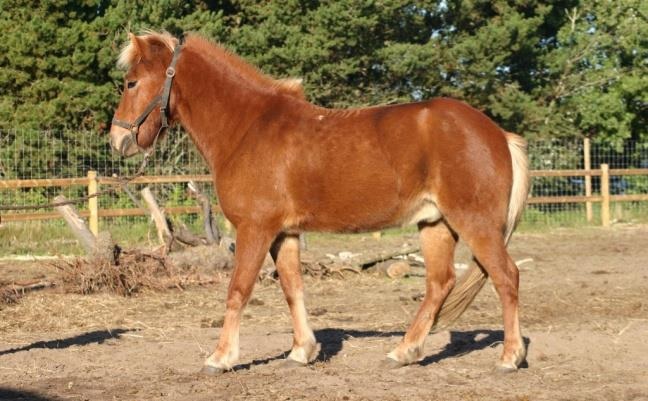 His is easy in tølt and trot is rarely seen. Expert in pulling of his own frontshoes while riding if he goes to much pass, so grab the rain and tølt. 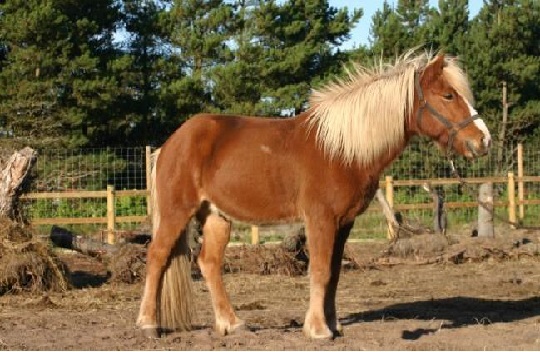 Special characteristics: Blond mane and tail, wide white blaze which has a small notch up on his left side of the head. She is eager, but fortunately also controllable. She does not have the strongest legs, and therefore takes only shorter tous. But still she can easily go fast an loves a good gallop. 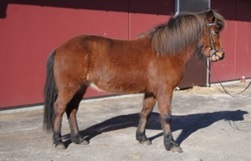 Special characteristics: Short mane, short and ruffled forelock – can be mistaken for Isabella, who is darker in the head. 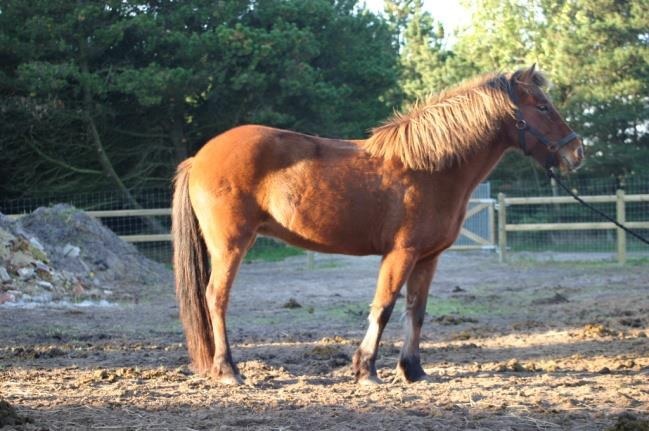 He is an amazing gelding who both have lovely movements and strong legs. He has a good will, but is always controllable. 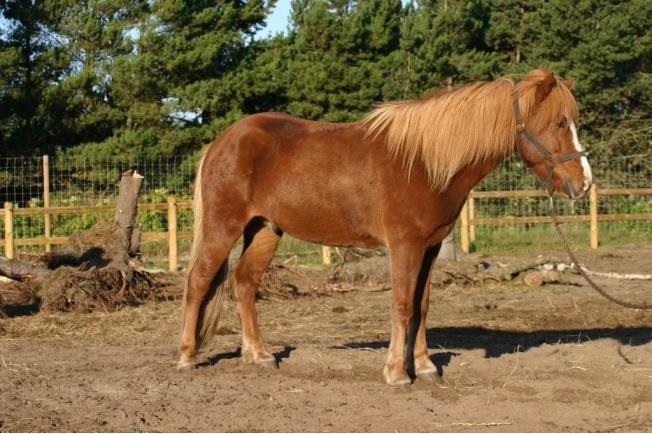 Special characteristics: Dark-red, wide white blaze which has small white hair on the sides. 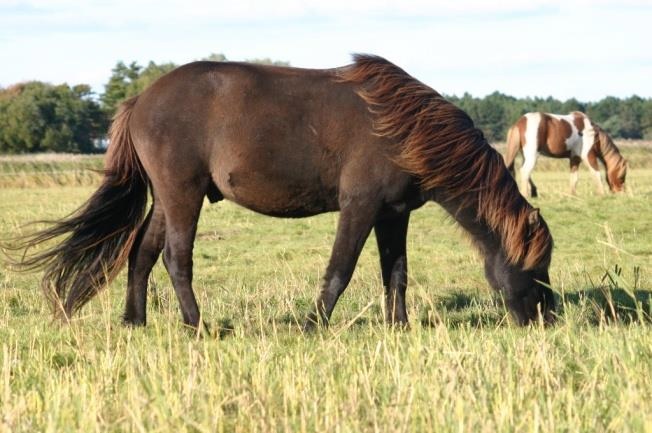 Sweet mare who is doing what ever you want. You can even put a child on her and the can take a gallop on the beach together. Kveijka is bright. 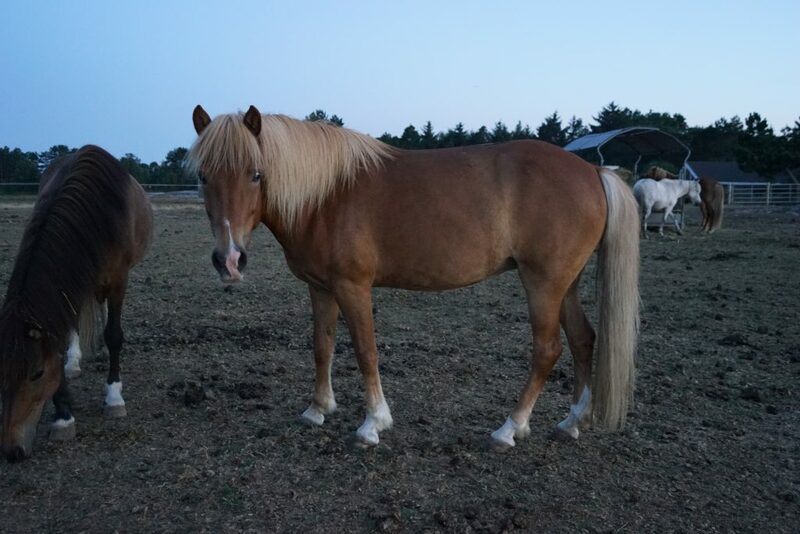 She is a tall mare with all 5 gaits – the challange is to get the clean tølt forward. She has a lot of pass and therefore mixes a lot in tølt. However, she has an amazing energy and willingness to work, so show us that you can. Special characteristics: Large and long-legged, long face, kind eyes. 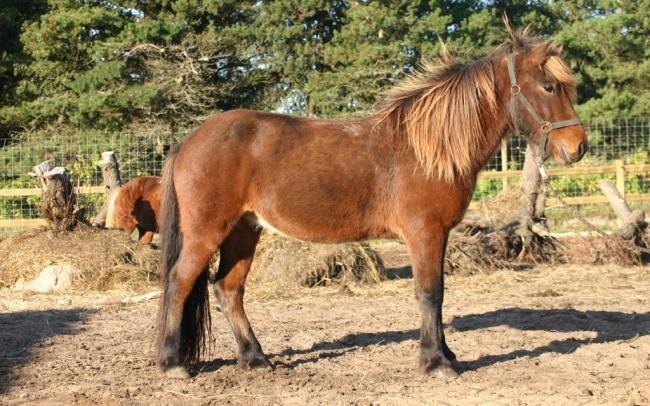 She may seem a bit reserved on the paddock, but once you have her in your hands she is very loving and stable. 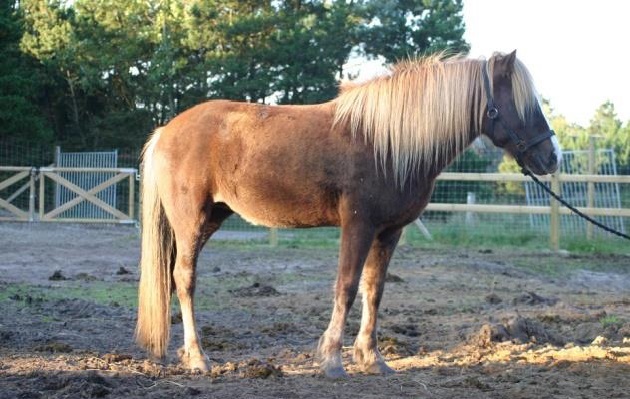 She can be ridden be almost anyone and follows the group well. 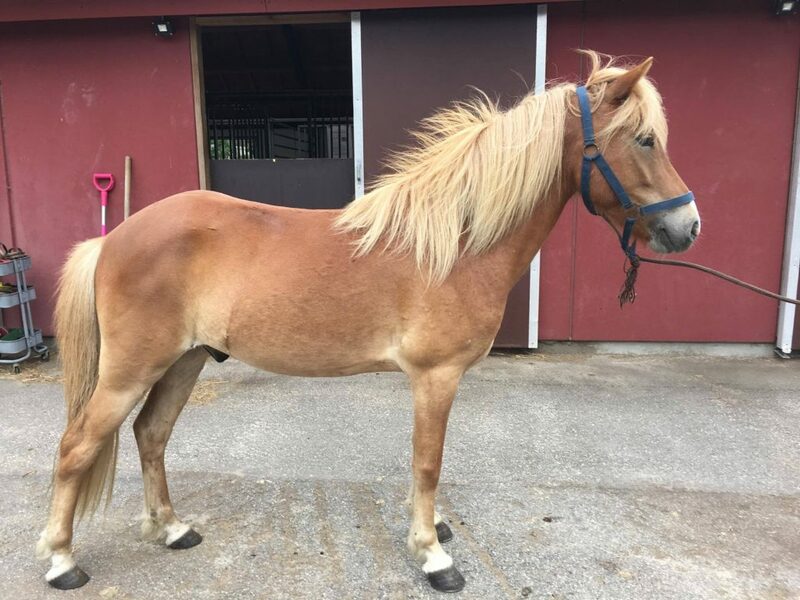 Special characteristics: Dark-red, white blaze on the head which starts wide on the forehead and gets mores slim down over the muzzle – Often she turns around and go away when she sees the halter, which she associates with hard work. Big gelding. He was easy to work with. He has great movements, like his mother Perla I her younger days. Special characteristics: Tall, oreange-red with small white hairs all over his body, big white uneven blaze in his head. 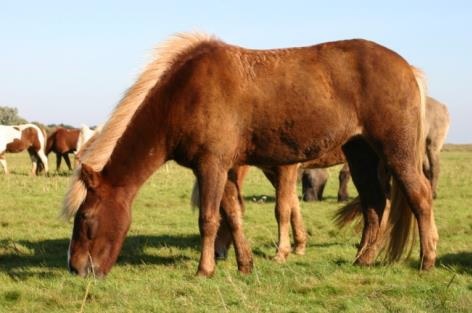 Sport-horse with the high lift and the bent neck. 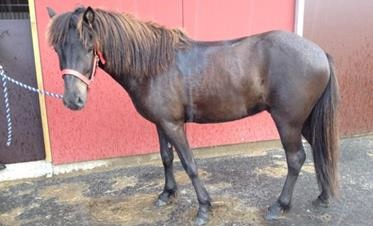 He is very willing and loving, and has clean gaits. 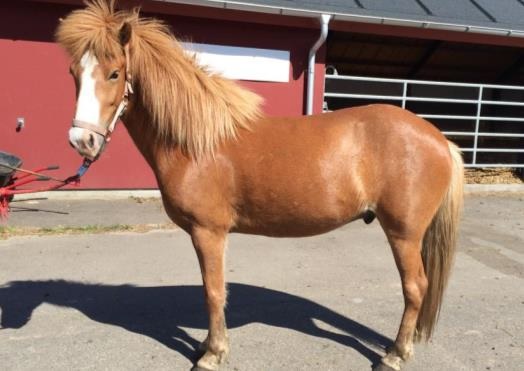 He likes to trot, but have lots og tølt also. 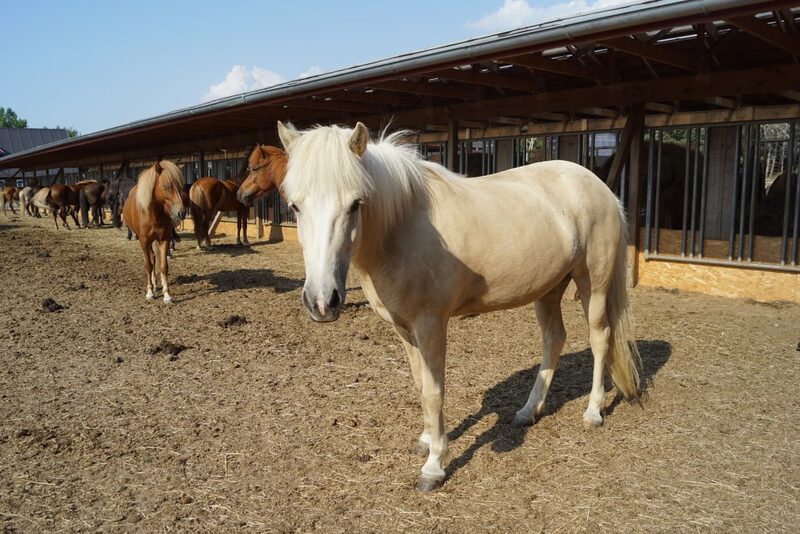 Special characteristics: Small, well-set neck, short forelock, white star on his forehead. 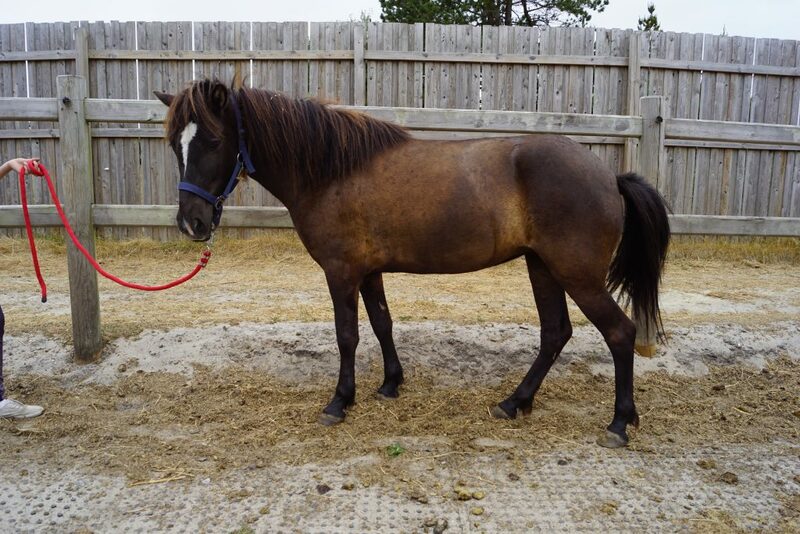 Quiet and very stable gelding for the discerning rider. The tølt is just ahead – clean and soft. The gallop is spacious and easy to follow. One of the tourist’s favorite horses. Special characteristics: Long-legged, slim face, a few white hair on his left thigh. 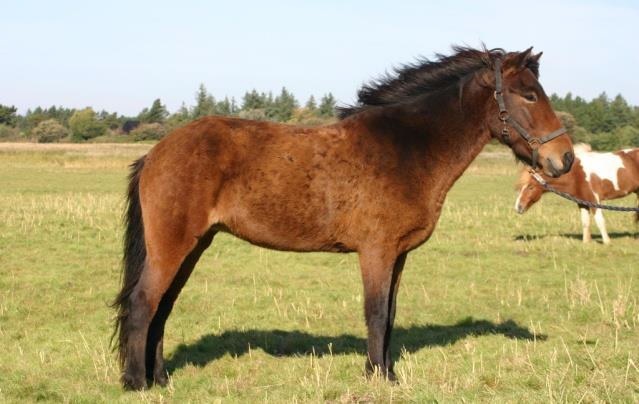 Quite young gelding with the most beautilfuil movements. 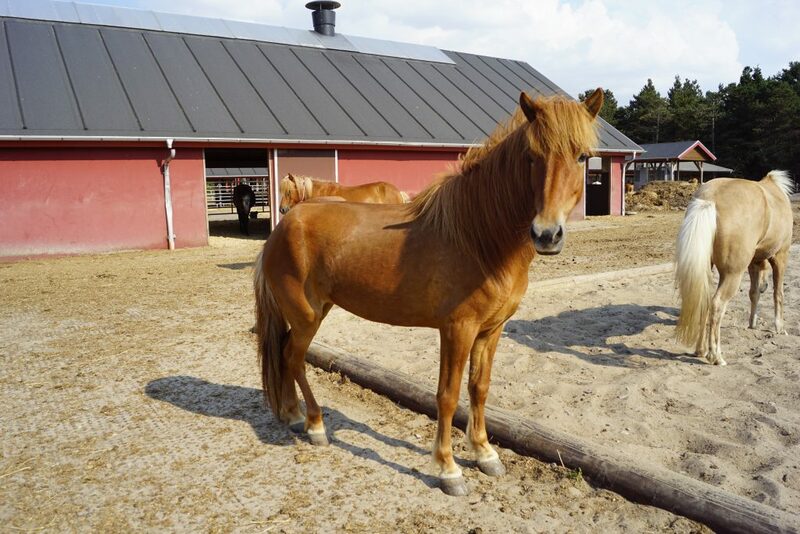 During trainin he was a bit of a troublemaker, but he is now settled in well as a ridinghorse, and has achived status as one of the tourists favorite horses. 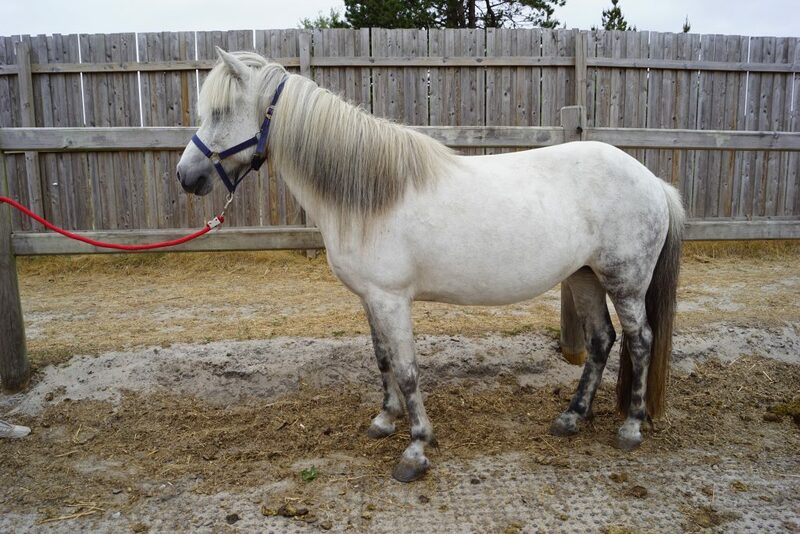 Special characteristics: Long-legged, wide white blaze that pulls slightly to the right side of his head. The leaderhorse who ran himself to death, if the rider demanded it. He has lots of tølt and willingness. He requires a very experienced rider who does not hang on the rain. Special characteristics: Large hair where the top part falls to his left side and the bottom part falls to the right side, white star on his forehead. Mother: Raudhetta fra Kommandørgården Father: ? 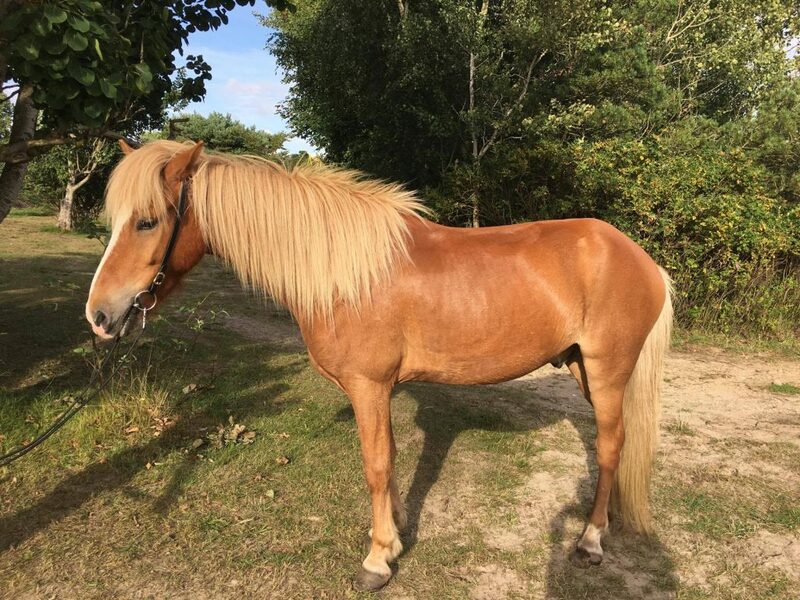 Villig lille hoppe som aller helst vil ud og galopere på stranden! Stadig styrbar og til at bremse ned. Gangarterne er på plads. Ikke en af de heste vi bruger aller mest grundet hendes mindre størrelse i kombination med hendes villighed. 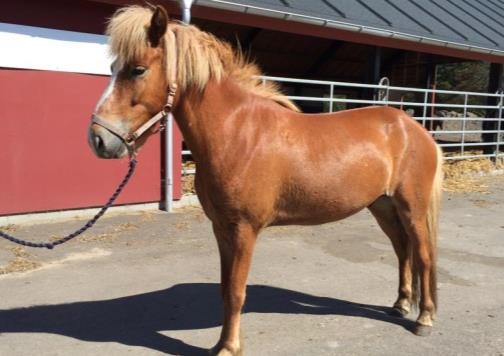 En super dejlig hest til den lille erfarende rytter. Mother: Flugsvinn fra Kommandørgården Father: ? Lille, stille og rolig hoppe som bliver en god børnehest en dag. Hun har dog stadig brug for en erfaren rytter til at lære hende verden at kende. Meget nem i alt håndtering. Tølten er ikke fundet endnu, men vi håber det kommer. Hendes mor var også længe om at finde tølten frem, men tølter den dag i dag helt suverænt. Ovoent har grønt pas grundet ukendt far, men vi kan bide os sikre på at det er en islænder.